By now you’ve probably read the news that Washington County’s Assistant County Administrator, Sarah Lankford Sprecher, has accused Washington County Commissioner LeRoy E. Myers Jr. of sexual harassment and intimidation. The allegations stem from the South Korean trip both Myers and Sprecher took last fall on behalf of the county and the subsequent alleged conduct of Myers after Sprecher rejected Myers’ sexual advances. You can read the details of Sprecher’s legal notice by clicking document below. Please remember this crucial tidbit whilst reading the allegations presented against Myers: Mr. Myers has not had his day in court and has yet to present his side of the story. Sprecher’s legal notice of claim, in accordance with Maryland law, are only allegations at this time. Said allegations have yet to be proven as fact, and Commissioner Myers, according to the Herald-Mail Media, intends to fully fight back against Sprecher’s allegations and prove himself innocent. I urge readers of A Miner Detail to be mindful of the sensitive nature of the materials and make no assumptions before hearing from all parties involved. 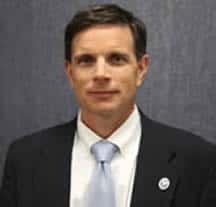 Expect to see Commissioner Myers’ attorney, D. Bruce Poole, aggressively fight the allegations presented against his client. You should also expect to see Sprecher’s counsel, Beiramee & Saboura, produce several witnesses, who will likely testify on Sprecher’s behalf. Aside from the allegations presented against Myers, one minor detail stuck out to me as significant: Wayne Keefer allegedly threatened to demote Sprecher in her job as Assistant County Administrator for no other reason than retaliation. Sprecher’s legal notice claimed that Commissioner Myers urged the other four Washington County commissioners to replace Sprecher as Assistant County Administrator with Robert J. Slocum, the then-current Director of Engineering and Construction Management, ostensibly in retaliation for rejecting Myers’ sexual advances. That’s an interesting claim; it’s one that might further unwind a few deals cut behind closed doors. The legal notice went further with respect to Commissioner Keefer, stating, “Stunned by Commissioner Keefer’s threat and certain that the motivation for the same arose from her reject of: (a) Commissioner Myers’ sexual advances against her; and (b) his byzantine plot against Mr. Murray, Ms. Sprecher met with Stephanie M. Stone, the Director of Health and Human Services Division of Washington County, whose job duties include supervision of all human resources and employment practices and complaints for the County. Bottom line: Commissioner Wayne Keefer allegedly threatened to remove Ms. Sprecher from her current position as the Assistant County Administrator, operating at the behest of LeRoy Myers, according to Sprecher’s legal notice. There are multiple sources reporting to me that Commissioner Myers recently loaned money to both Commissioners Wayne Keefer and Terry Baker. Sources claim that Myers issued a personal loan to Keefer to help him get his new flower shop off the ground. The same sources have said that Myers also loaned money to Terry Baker to purchase a piece of land in West Virginia. There will also be a lot of arguing and motions back and forth in the meantime regarding discovery; because Poole is going to try and find creative ways to keep from having to turn over emails. etc. (and are a number of loopholes he can use for that purpose) to try to throw a wrench in things. He’s going to try to say a lot of things are inadmissible and quickly get a ruling on it. If successful, she [Sprecher] may not have enough evidence to proceed to a trial. I have a few questions for you as that they relate to the allegations written in the legal “notice of claim” as constructed by legal counsel representing Ms. Sprecher. 1) Did you, at any time, threaten Sarah Lankford Sprecher’s employment with Washington County government? 2) Did you approach, as alleged in Ms. Sprecher’s claim, Ms. Sprecher and recommend that she should no longer be employed as the Assistant County Administrator? Did you inform Ms. Sprecher that the Commissioners were planning to find her another position in county government to fill? 3) Have you ever used your position as a county commissioner to intimidate or harass other county employees in an attempt to coerce said employees into submission? 4) Did you, as multiple citizens have reported, promise to support and vote for Linda Murray in advance of the committee’s recommendation for the Washington County Board of Education? My deadline for comment is tonight by 9:00 p.m. I will be writing a story and releasing said story on AMinerDetail.com with or without your comment. Keefer has not responded to my request for comment. I’ll update the story as I have more information.